Scarborough Councils Licensing Committee today voted unanimously to retain WhitbysCumulative Impact Zone (CIZ). Legislation that makes it more difficult for new bars and pubs to open in Whitby will remain in place against police advice. Scarborough Council’s Licensing Committee today voted unanimously to retain the town’s Cumulative Impact Zone (CIZ). A report, written by the council’s senior licensing officer, Mark Heaton, which went before the committee, said the councillors could justify keeping the zone in Whitby. He wrote: “The statistical data and [crime] hot-spot mapping in respect to the Whitby area provides a picture of steady improvement with significantly less reported crimes and occurrences compared to the Scarborough area. “As such North Yorkshire Police made a recommendation that the Whitby CIZ be rescinded. However, Cllr Jane Mortimer (Con) told today’s meeting that the reduction could be down to under-reporting. A number of councillors also used the meeting to raise concerns over the rise in micro-pubs, which often crop up in vacant shops in the borough’s main towns of Scarborough, Whitby and Filey and how the impact would be monitored going forward. 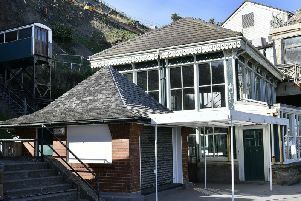 As part of the review, Falsgrave Road in Scarborough will not be added to the town’s CIZ following responses from the public. Some roads in Scarborough have also been removed from the town’s CIZ. The recommendations of the licensing committee will go to the council’s cabinet and full council meetings next year to be signed off.